Painting & Pints this Sunday! Read more "Painting & Pints this Sunday!" Read more "Texas Tuesday 1/8/19"
Read more "Happy New Beers!" Read more "Last Minute Christmas Gifts!" 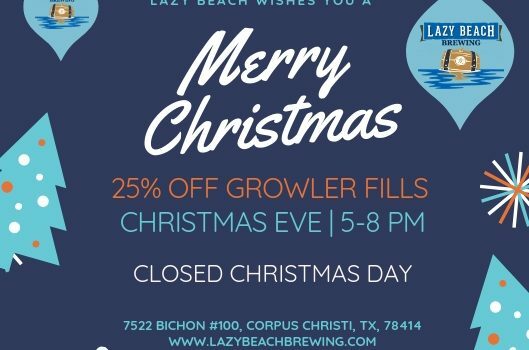 Read more "Weekly Brew News 12/20/18"
Read more "Weekly Brew News 12/13/18"
Read more "12 Days of Lazy Beach Christmas"